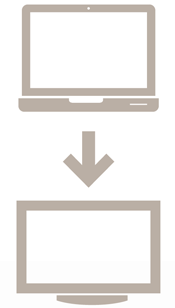 With the Mini DisplayPort to DVI Adapter, you can view your laptop's content on a larger monitor in high-definition 1080p resolution. 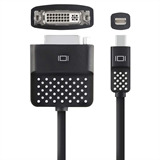 The adapter connects to a DVI cable (sold separately) and to the Mini DisplayPort input on your MacBook, Ultrabook, or tablet. It is ideal for watching movies or sharing photos on a larger screen. 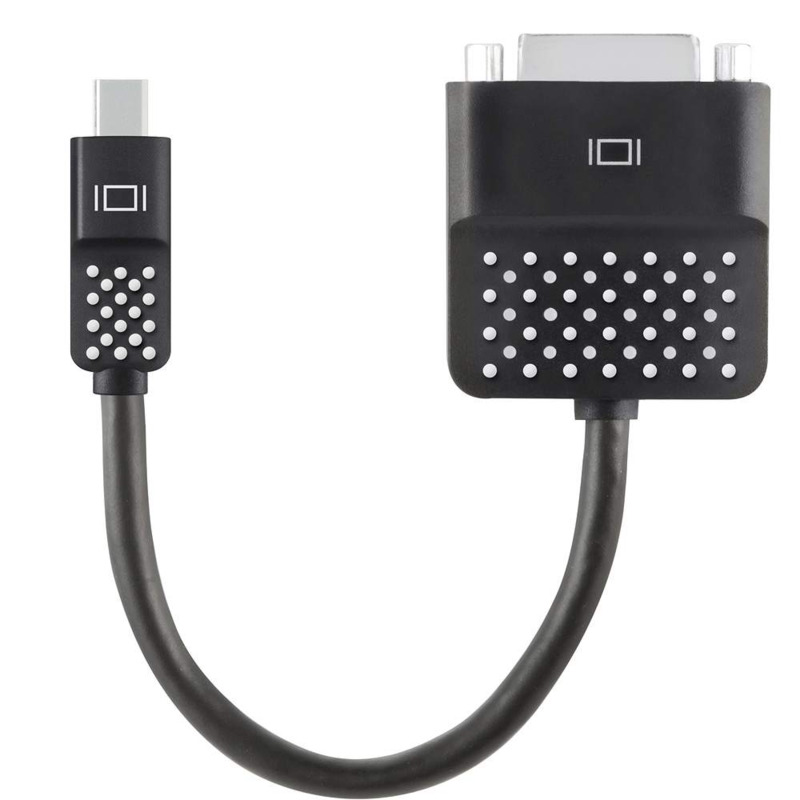 Note: This adapter plugs into the Mini DisplayPort/Thunderbolt™ port found on MacBooks and many Ultrabooks and tablets. Please check your device to confirm compatibility. 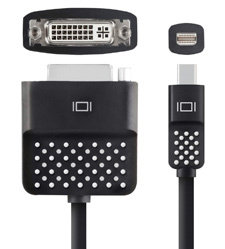 A DVI cable (sold separately) is required for use. The adapter is equipped for video only. A separate audio cable is required to stream audio. The adapter features molded strain relief for flexibility at the connection points, reducing wear and tear from frequent use. A white label helps you identify which end is up for easy, quick insertion. Measuring 5 inches long, the adapter is a pocket-sized, portable accessory for connecting to a television or monitor at home or away. When used with a DVI cable (sold separately), the adapter offers quick plug-and-play capability that is ideal for presentations or watching movies at a friend's house.